An enthralling read, both straightforward and wonderfully intricate. Eloquent and thoughtful…Not only has Lawson fulfilled the promise of her first novel, she has surpassed it in a layered, complex story about emotional power shifts. Storytelling, not showmanship, dictates the honest, serious art of Mary Lawson. 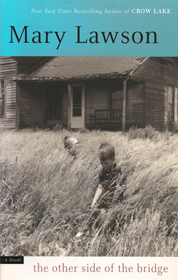 Lawson’s gifts are enormous, especially her ability to write a literary work in a popular style. Her dialogue has perfect pitch, yet I’ve never read anyone better at articulating silence. The author draws her characters with unobtrusive humour and compassion, and she meets one of the fiction writer’s most difficult challenges: to portray goodness believably, without sugar or sentiment. 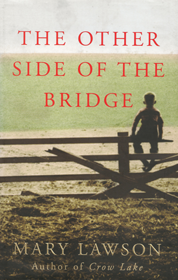 Lawson clearly knows and loves her terrain – the countryside, its people and their way of life – and she tells this story without sentimentalizing anything about it…By the time you’ve come to the end of this deftly restrained yet intensely dramatic book, you’ll have been taken out of yourself into a world most of us have never known. 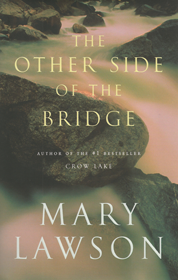 Like the great nineteenth-century novelists of provincial life, Mary Lawson is fluent in the desperate intensity of the small individual dramas of respectable people – and she paints an eloquent picture. Lawson beautifully skirts the clichés of sibling rivalry embedded since Cain and Abel, with a story that aches with its inevitability and yet suggests hope. [Lawson] is patient, never flashy, and her virtuosity never calls attention to itself. Her characters are ordinary, decent people, living out their everyday life in a place that is beautiful and demanding. Through them she reminds us that old-fashioned storytelling is the best kind and the hardest to do, and that simple themes often touch us most.